The development of new technologies that have emerged since the mid-1990s has led to Internet based applications known as “social media” that enable people to interact and share information through media that were non-existent or widely unavailable 15 years ago. Examples of social media include blogs, chat rooms, discussion forums, wikis, YouTube Channels, LinkedIn, Facebook, and Twitter. Social media can be accessed by computer, tablets, smart and cellular phones, and mobile phone text messaging (SMS). In the last five years, social media and collaborative technologies have become critical components of emergency preparedness, response, and recovery. 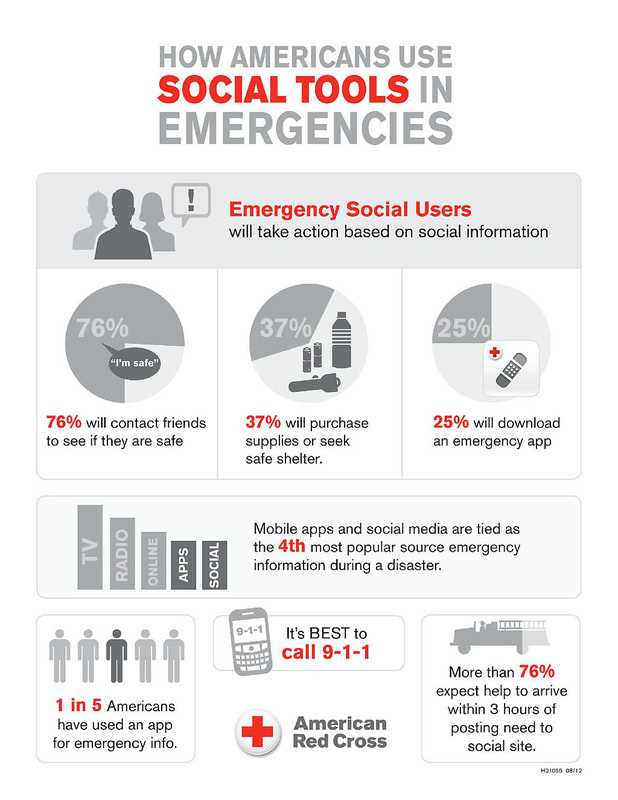 Social media sites rank as the fourth most popular source to access emergency information. They have been used by individuals and communities to warn others of unsafe areas or situations, inform friends and family that someone is safe, and raise funds for disaster relief. From the international response efforts after major tsunamis to hurricane recovery in major U.S. cities, officials now turn to social media technologies to share information and connect with citizens during all phases of a crisis. The use of social media for emergencies and disasters may be conceptualized as two broad categories. First, social media can be used somewhat passively to disseminate information and receive user feedback via incoming messages, wall posts, and polls. To date, this is how most emergency management organizations, including the Federal Emergency Management Agency (FEMA), use social media. using uploaded images to create damage estimates, among others. Many of these applications remain speculative, while other uses are still in their infancy. Consequently, most emergency management organizations have confined their use of social media to the dissemination of information. The US Department of Homeland Security's (DHS) Virtual Social Media Working Group has released a document on Social Media Strategy, in which they outline benefits of Social Media for First Responders and Emergency Managers. How Does This Benefit the Public? Online social networking websites such as Twitter and Facebook often serve a breaking-news role for natural disasters: these websites are among the first ones to mention the news, and because they are visited by millions of users regularly the websites also help communicate the news to a large mass of people. The willingness of Government to embrace Social Media provides the end user (Joe Sixpack) with the ability to interact with the Emergency Management, and First Responder, decision-makers in his community. For instance, he can Tweet information about incidents to them, or upload videos to YouTube, or information postings to the agency's Facebook page. What Role Does Amateur Radio Play in All This? For years now, Amateur Radio has been one of the main "Go To" sources for field observations (on-the-spot reports) during incidents. Could this change? Because of the high speeds of 4G cell phone connections that are now almost nationwide, anyone with a camera phone can send out pictures and video of incidents. The ham operator who is truly interested in serving the community will welcome this influx of new data with open arms. In fact, the smart ham will work to master Social Media so that he/she can continue to play their vital role in Emergency Preparedness and Response. The American Radio Relay League (ARRL) has put forth the slogan "When All Else Fails" for quite a while now. This relates directly to the ability of two-way radio to work when the power is out, and the cell towers are offline. However, in most instances, there is a period of time between the start of the event and the failure of services. In some instances, cell phones and power never go offline at all (train derailments, chemical spills, etc). If Social Media becomes a major player in Emergency Services planning and response, does this mean that the role of the Ham Radio Operator will be phased out of emergency services? Maybe. What can you do to make sure this doesn't happen? The first step is to leave your ego/attitude at home and realize that you are part of a team. Take the time to learn about social media and it's use in emergency response. Start using Social Media and Amateur Radio together. For example, if you see an event, take a picture and email it to the EOC. And then call them on the radio and advise them it's coming. You should become just as trusted an information source on Social Media as you are on the radio. 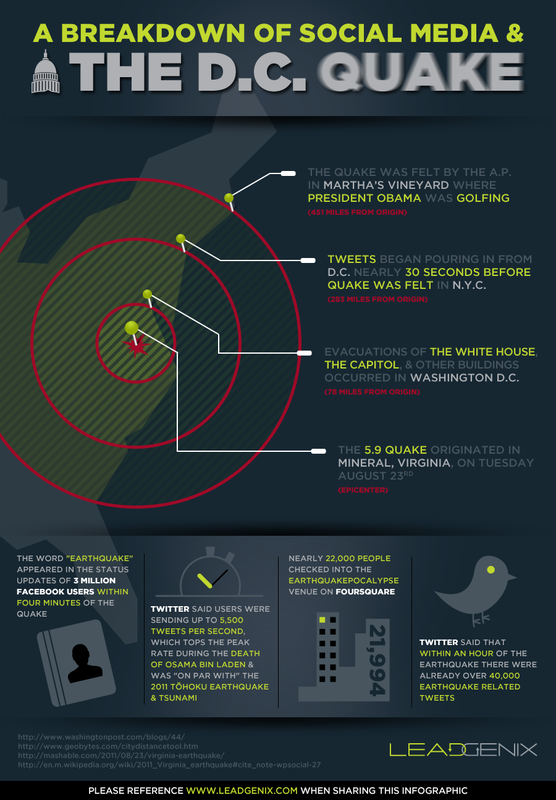 Learn about #SMEM and #VOST. Become a master of Twitter #hashtags.